While Inner Good is a leading provider of ostomy supplies for all of Canada, with provincial populations that evidence high concentrations of stoma patients (notably Ontario and Alberta), our home base is here in Vancouver BC. 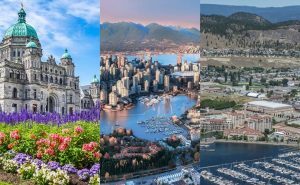 Our management team bounces around between Victoria, Kelowna, and beyond, working with health care professionals and the British Columbia ostomy community so that we can better serve you. Stats Canada reports that B.C. is the most physically active province in the country. Ostomates here are no different. Thus, it’s no secret as to why the demand for information, products, and supplies to support a healthy and active lifestyle is so strong. As the country’s one-stop resource for those who have received a colostomy, ileostomy, or urostomy, Inner Good answers the demand. BC’s PharmaCare Program helps qualified residents pay for ostomy supplies by reimbursing a significant percentage of their expenditure. BC residents who have a permanent colostomy, ileostomy or urostomy (or other condition requiring a stoma appliance) with active Medical Services Plan of B.C. (MSP) coverage qualify for the program, regardless of income level. That’s great news for you! The specifics of each plan can be found here. If you are not yet registered for PharmaCare, you can do so here. Discreet and Quick Delivery – Your order is processed immediately and automatically slated for shipping. Your supplies will arrive on time and in discreet packaging at the B.C. address of your choice, each month, without hassle.